Flat shaker screens are the series screens applied most widely at present. FLC2000 Flat Shaker Screen used in solid control equipment. It contains shale shaker, mud cleaner, desander and desilter and so on. FLC 2000 Flat Type Shale Shaker Screen also named FLC 48 – 30 hook strip screen. These products can be fit for all kinds of shale shakers that use the hook strip flat screen. This screen panel is made of two or three layers of stainless steel screen bonded to a steel support plate. TR can supply hook strip flat screens with mesh sizes ranging from 20 to 325. 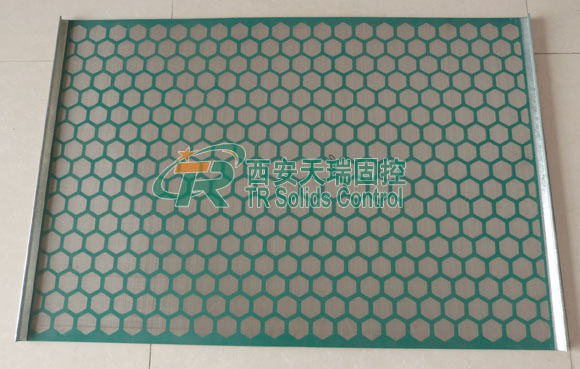 TR Solid Control is one flat shaker screen manufacturer who can provide completely replacement shaker screen of original FLC series screen.